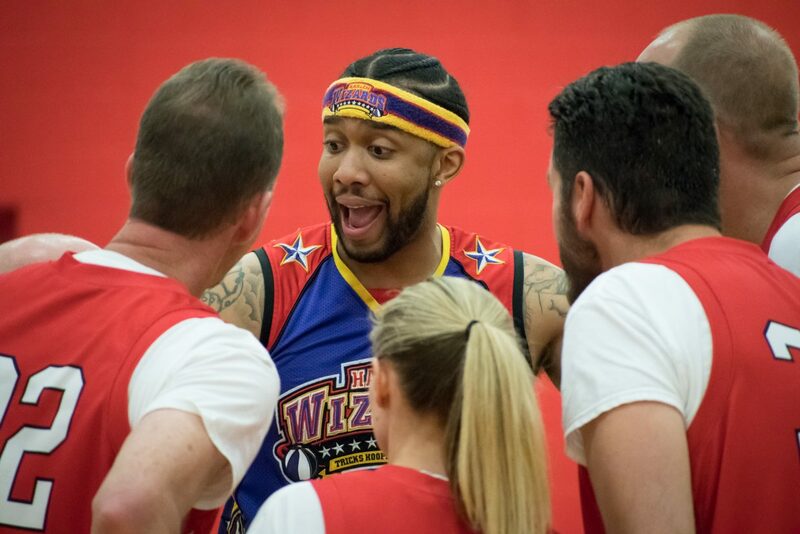 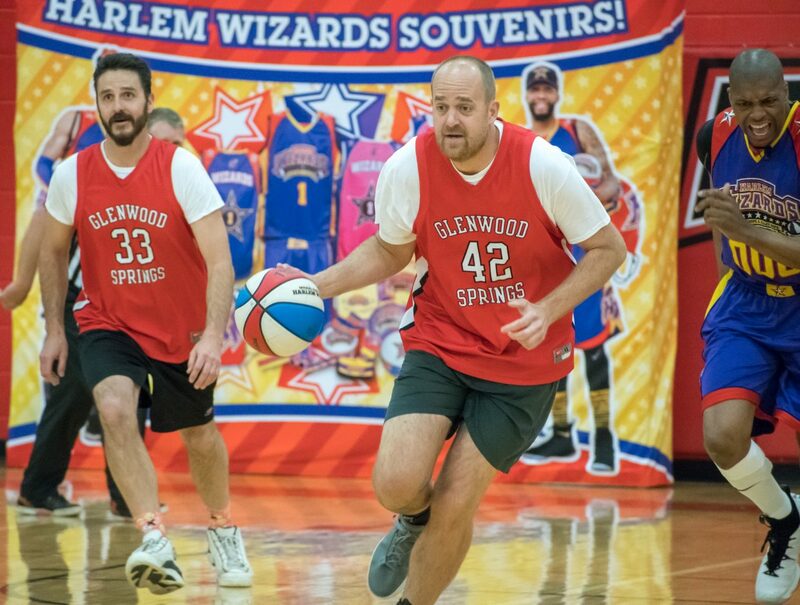 The Harlem Wizards payed a visit to Glenwood Springs on Thursday evening and played against staff from several Glenwood schools. 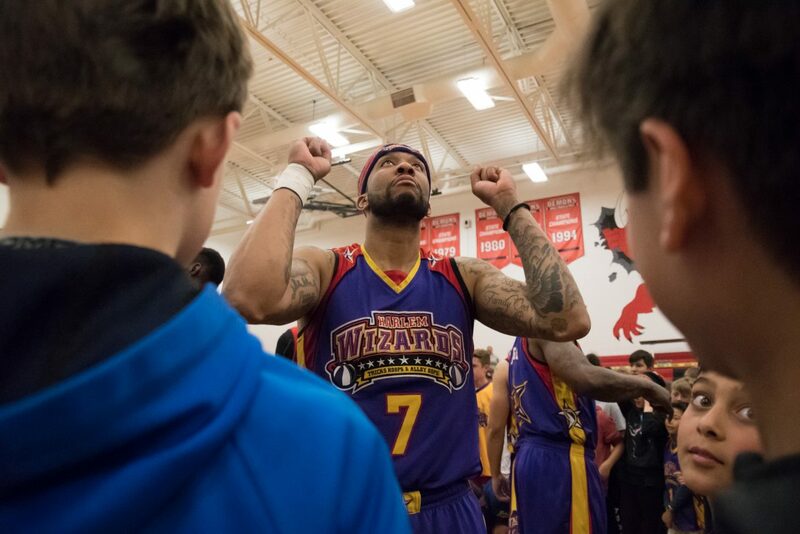 The event featured comedy, entertainment and dancing put on by the Wizards and members of the audience. 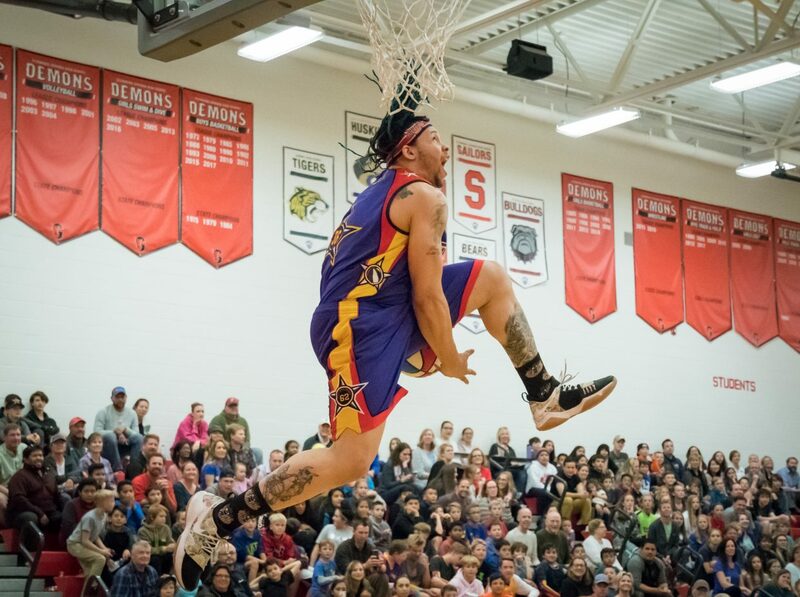 Proceeds from the event will benefit Glenwood Springs Middle School. 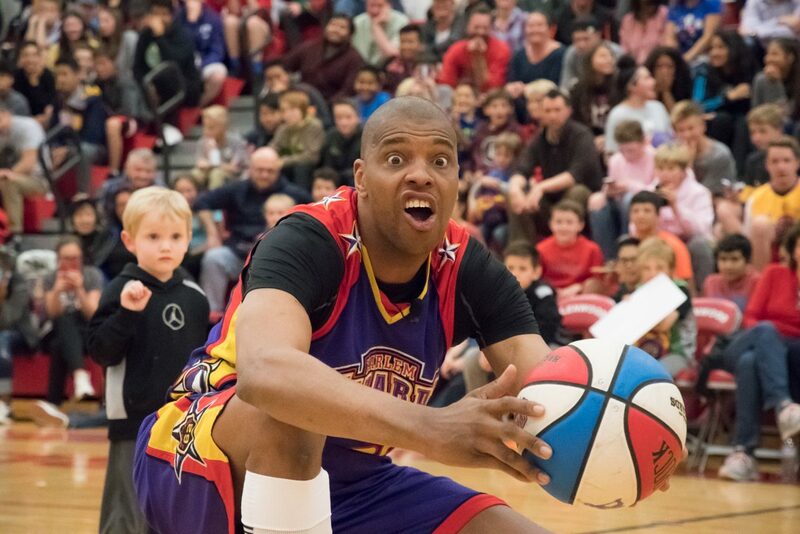 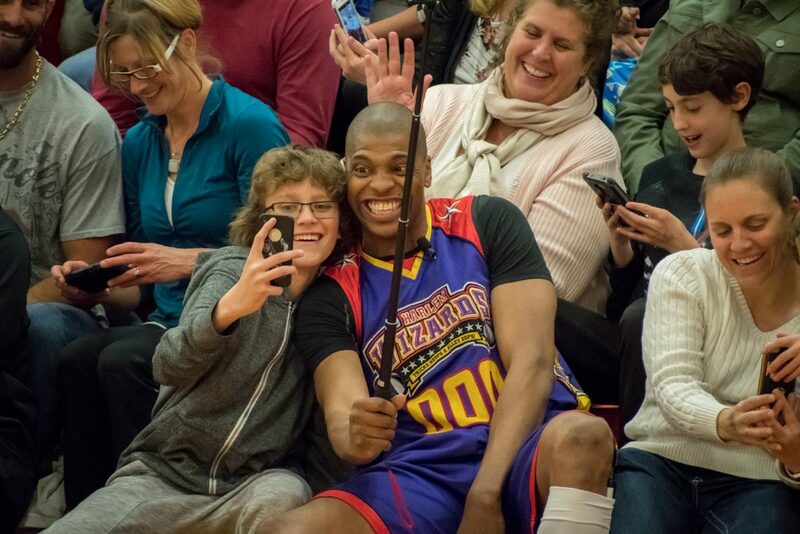 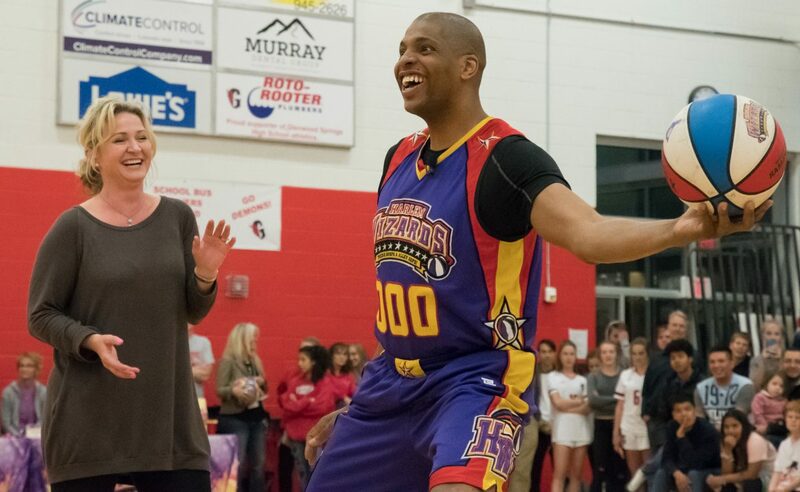 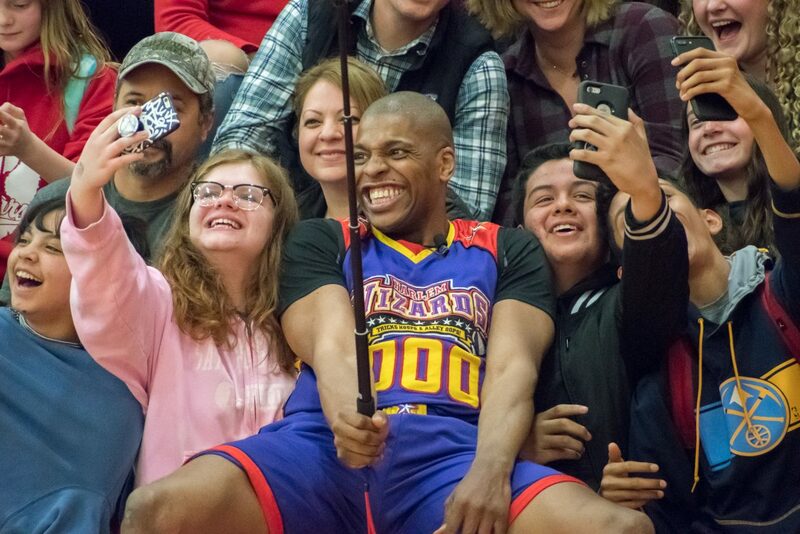 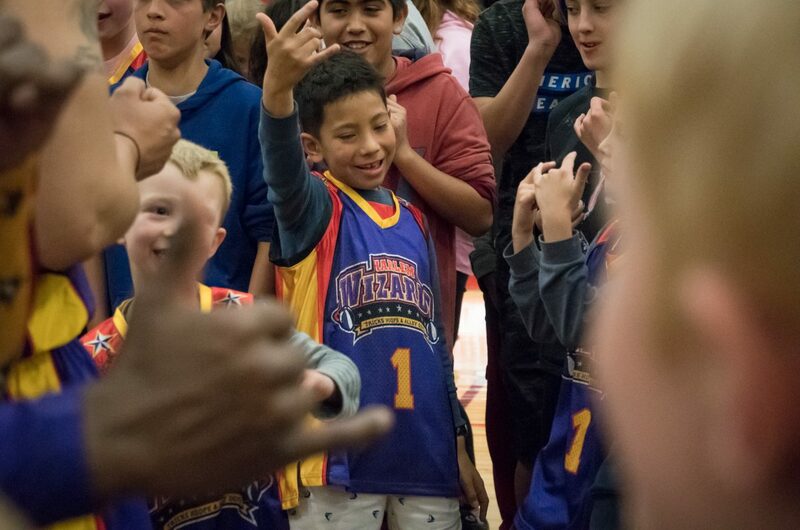 A member of the Harlem Wizards basketball team take selfies with the audience during Thursday night’s benefit game at Glenwood Springs High School. 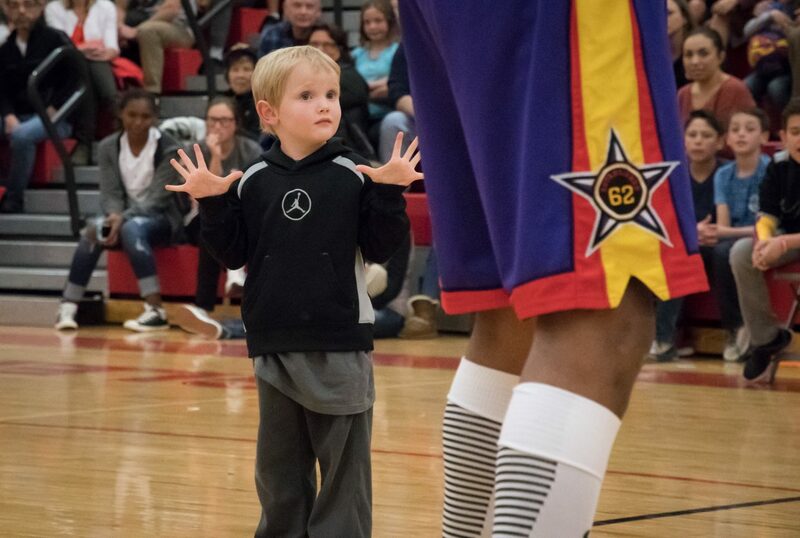 A member of the Harlem Wizards basketball team gives tips and pointers to the ‘home team’ during Thursday night’s beneift game at Glenwood Springs High School. 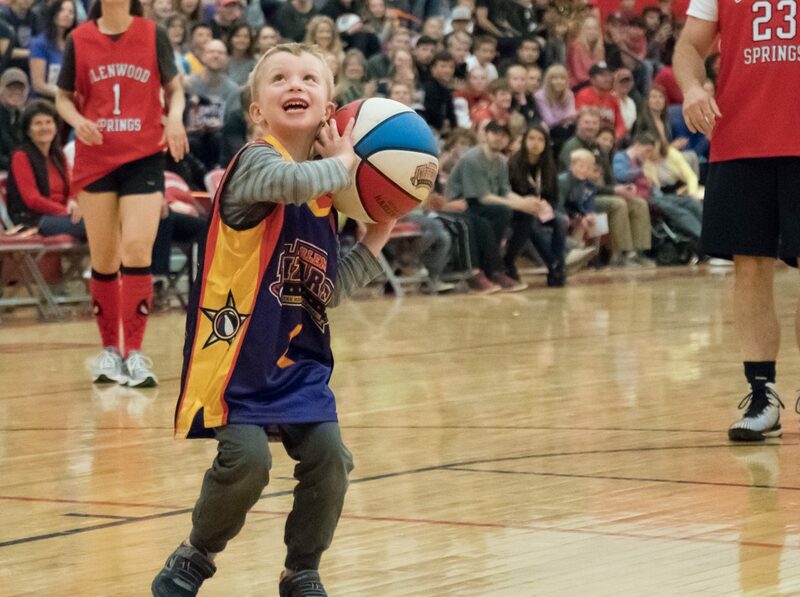 A member of the Glenwood Springs ‘home team’ makes his way down the court during Thursday night’s benefit game against the Harlem Wizards. 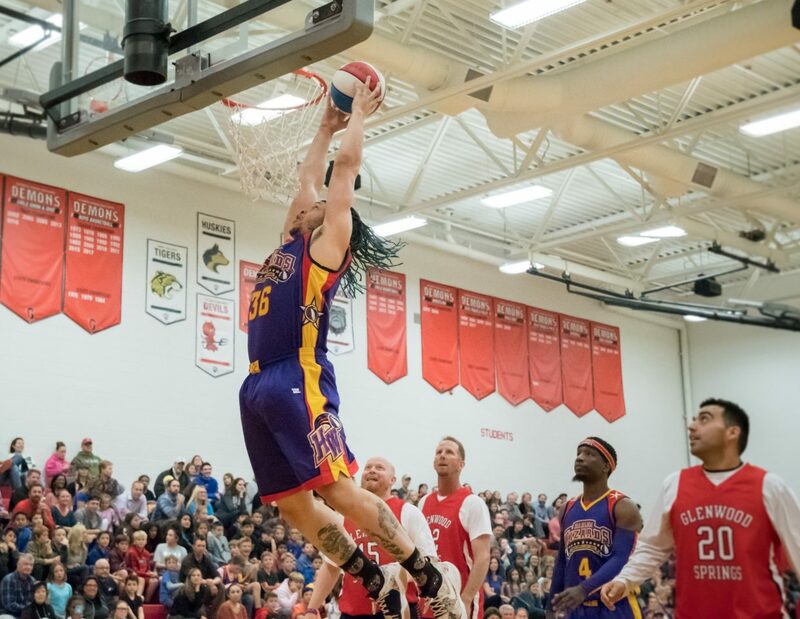 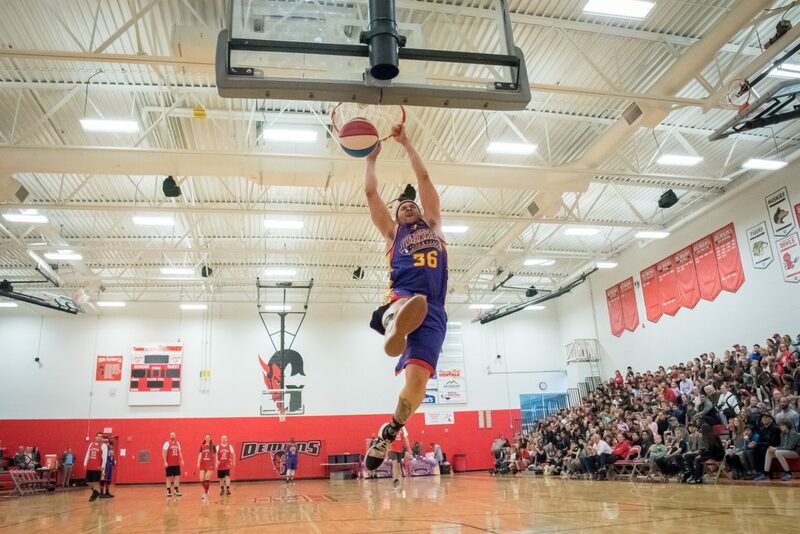 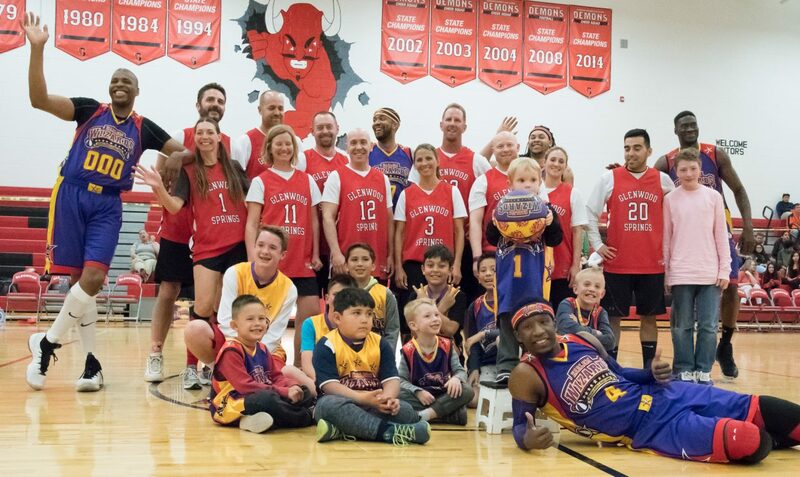 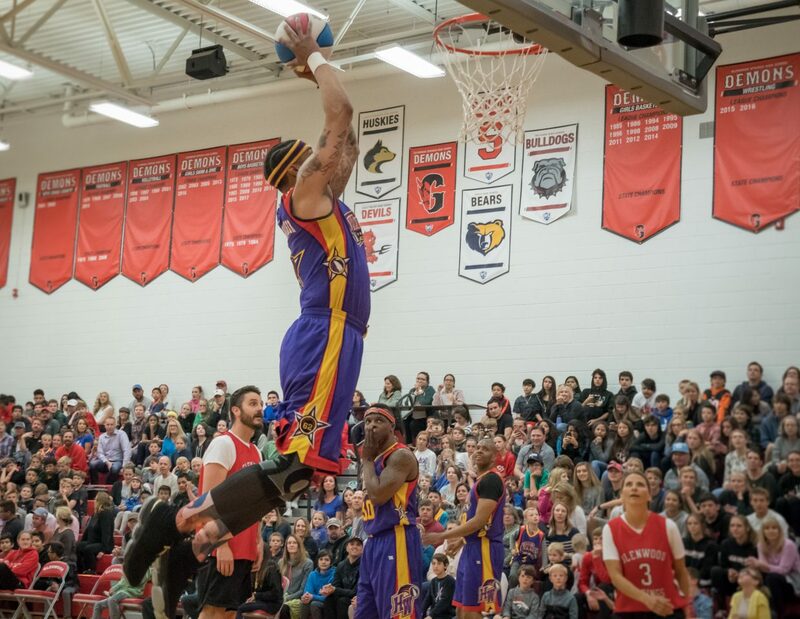 Scenes from the Harlem Wizards benefit game against multiple local teachers, admin and coaches at Glenwood Springs High School on Thursday night. 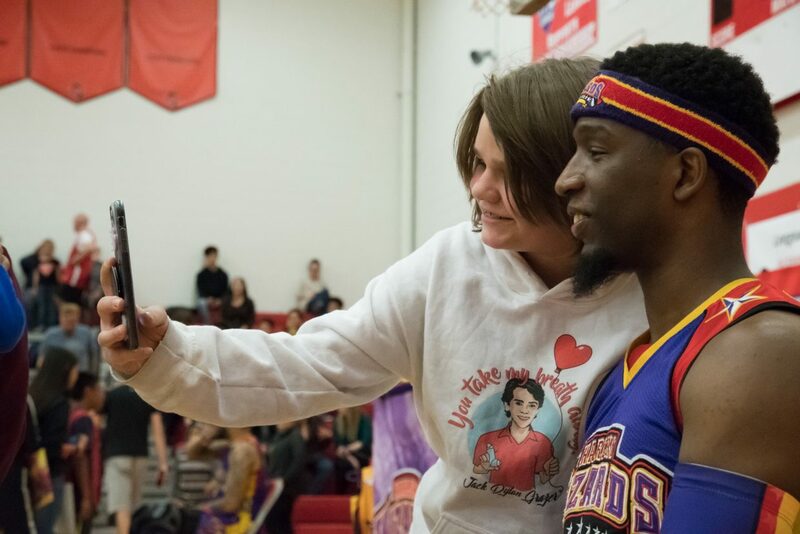 A member of the Harlem Wizards basketball team takes selfies with the audience during Thursday night’s benefit game at Glenwood Springs High School.